A tribute to those lost in the Battle Of The Somme will be projected onto White Cliffs of Dover as Iraq veteran Hannah Campbell launches her bid to raise £1 million for ex-service men and women in need! A TRIBUTE to the centenary of the Battle Of The Somme, and a film celebrating the military heroes of the British public, will be projected onto the White Cliffs of Dover to mark the launch of the new Veterans’ Lottery (July 1, 2016). The event has been organised by the Veterans’ Foundation and its patron, Hannah Campbell, as she bids to raise awareness and support for British veterans in need. Once the tributes have been completed, Hannah will end the memorial by projecting a series of hard-hitting images that reveal the current plight of thousands of Armed Forces’ veterans in the UK. The Somme projection highlights key moments of the 144 day battle that claimed 19, 240 British lives in the first 24 hours, whilst the pictures for the public’s ‘hero’ projection have been gathered through social media and feature family members who have served in the military over the last 100 years. 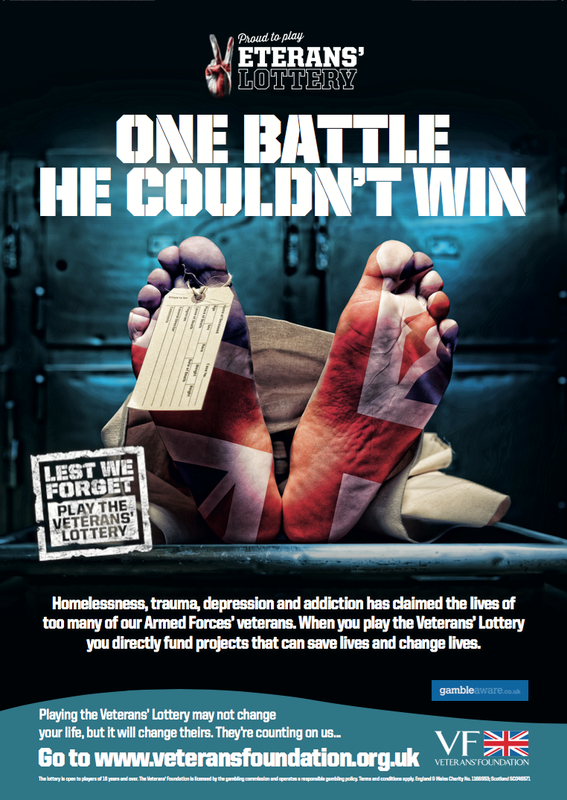 The role of the Veterans’ Lottery is to provide funding to projects fighting homelessness, poverty, mental health, physical disability, the ravages of old age as well as supporting children who have lost parents whilst serving in the British forces. Hannah understands at first hand the challenges of making the transition from service to civilian life. Corporal Campbell suffered horrific injuries when a mortar bomb hit a building she was guarding whilst serving with 19 Tank Transporter Squadron, in Basra, Iraq, 2007. Those life-threatening injuries eventually led to her left leg being amputated. Since then she has rebuilt her life but still battles with the effects of Post Traumatic Stress Disorder. Earlier this year, millions around the world witnessed Hannah’s PTSD at first hand after a thunder storm triggered a trauma attack whilst she competed in Channel 4 TV show ‘The Island with Bear Grylls’. The attack was so severe she was forced to leave the programme. “It seems fitting that whilst we remember and respect those who gave so much for our country, we also recognise the thousands of veterans that need help and support once they make the transition to civilian life. That’s what the projection on the White Cliffs of Dover is all about. “I’m passionate about highlighting, and supporting, the many different challenges facing our ex-service men and women… challenges which last a lifetime. “My target is to raise £1million in 12 months through Veterans’ Lottery with funds donated to many deserving projects,” said Hannah. 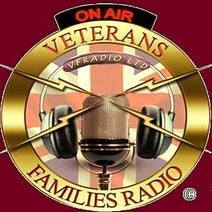 Any registered armed forces charity that is directly helping veterans can apply for a grant through the application process on the Veterans’ Foundation website. Hannah Campbell was a Corporal in the British Army and during her first tour in Iraq in 2007, the building she was guarding at Camp Charlie, Basra, came under mortar attack. Her injuries were life changing. Buried under rubble, she attempted claw her way to safety before being dug out by fellow soldiers. Her hearing and eyesight were both significantly impaired, an injury to her brain left her semi conscious, and during that fight for survival, she suffered a cardiac arrest. After being flown back to Britain, the mother of two began her rehabilitation. Following countless operations piecing her shattered body together, she eventually made the decision to have her leg amputated. Early in 2016, Hannah appeared on Bear Grylls’ The Island and during the filming an extreme thunderstorm triggered a PTSD attack that brought back the horrors of Iraq. It was the most public trauma ever seen in a veteran with millions viewing the attack. She is now a campaigner for British armed forces’ veterans and regularly appears in print and on TV. It costs £10 a month to play with prizes of £5,000, £2,000 and £1,000 per draw. It carries a monthly rollover pot of up to £75,000. During their period of participation, players are also given a Veterans’ Foundation/Gourmet Society benefits card worth £69.95 RRP. This allows players to claim up to 50 per cent off food and drink at over 6,500 restaurants and pubs nationwide. Pictures and video: Available on request.